Hiya guys! TGIF it's time for a long holiday weekend if you live in the States like I do. Are any of you guys heading to the beach? If so, I feel like I have the perfect manicure for you! I'm doing a little bit of cheating and combining two challenge prompts, one for The Crumpet 40 Great Nail Art Ideas and the other for The Lacquer Ring. I tried to be even more of a sneak and went with what I thought at the time was going to be something easy. A little gradient with the side of stamping... I mean what could go wrong right? Apparently nail stuff is not like riding a bike, because a week away from the mani cave and I don't know what I'm doing anymore. Seriously this manicure was supposed to be fun and relatively simple, I planned on finishing up within an hour and a half. 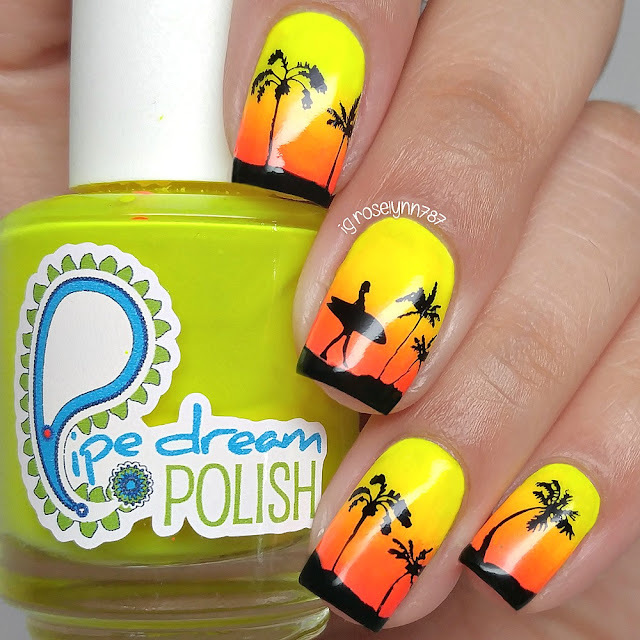 But this sunny little deceiving mani took me nearly three hours! RIP Rose. Head work paid off though and at least those three hours didn't go to waste. I LOVE how this turned out and really don't want to have to take it off. But alas swatching awaits... Damn that nail blogger life. Seriously though I've had the idea for this manicure since probably last summer, but I never got around to getting it done until now. I'm so thrilled to finally have this out of my head and made into reality... now only 999 other mani ideas to go. Haha. 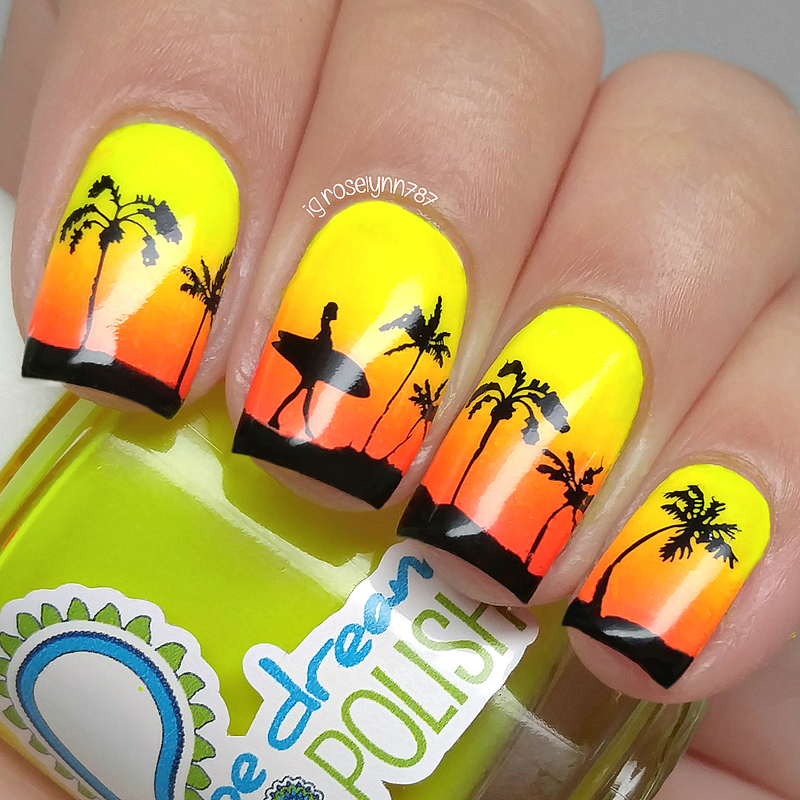 This manicure definitely relies heavily on the use of a clear stamper. Unless you're a nail goddess with placement skills using a normal stamper. That's definitely not this girl right here! Regardless of what stamper you use I do suggest using Yellow Stopper to help adhere the stamping to the nail. This has easily become one of the most useful stamping tips I have learned about, especially since I tend to record the process for you guys. 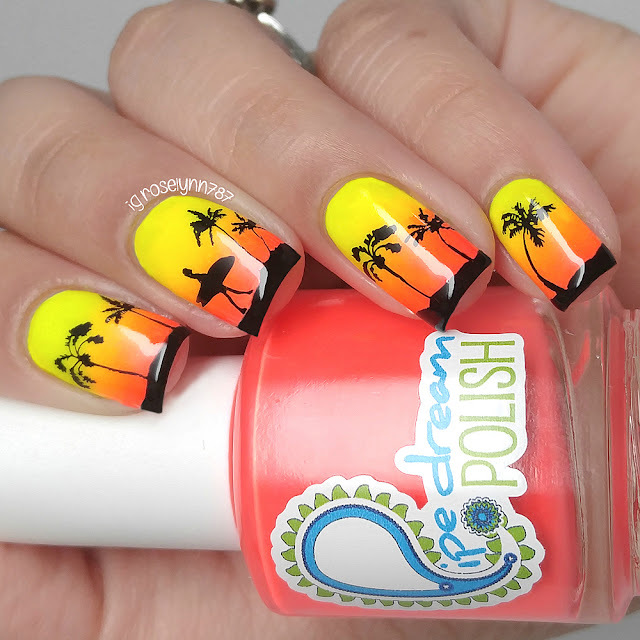 And here's the video tutorial for how to accomplish this fun mani! Sorry no voice-over for this one guys, came home from my treatments and just wasn't feeling up to it. If you have any questions be sure to let me know down in the comments! 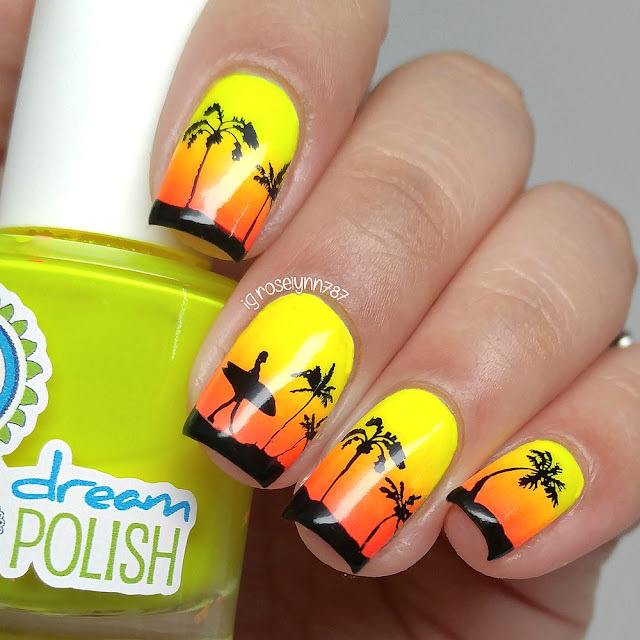 I hope you guys like this bright and summer fun mani! I've been wearing it a few days now and have received so many nice compliments... and also a lot of 'why isn't your other hand the same?' questions haha. Before you head out, be sure to check out the other ladies participating in this prompt! So many ideas, never enough time! This was so worth the wait and the time involved! So stunning!